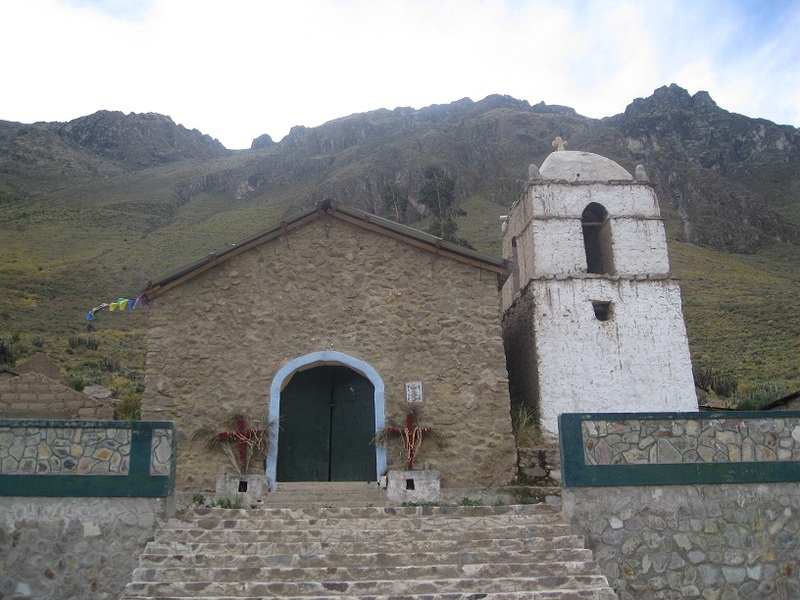 After two days lost in the Copacabana sideshow, Peru can’t come fast enough and, conveniently enough, the border is a mere 40 minute drive from the city. With two and a half weeks left I know that I can never do Peru justice and so I’ve decided to visit Arequipa, Cuzco and Lima on my way north to Ecuador. I’m going to Arequipa to climb a volcano, to Cuzco, well, because it’s Cuzco and to Lima - probably the most unpopular of all South American capitals - just because it’s the capital and because I can’t believe that it’s as bad as people say. Or it surely can’t be as bad as, say, Copacabana. 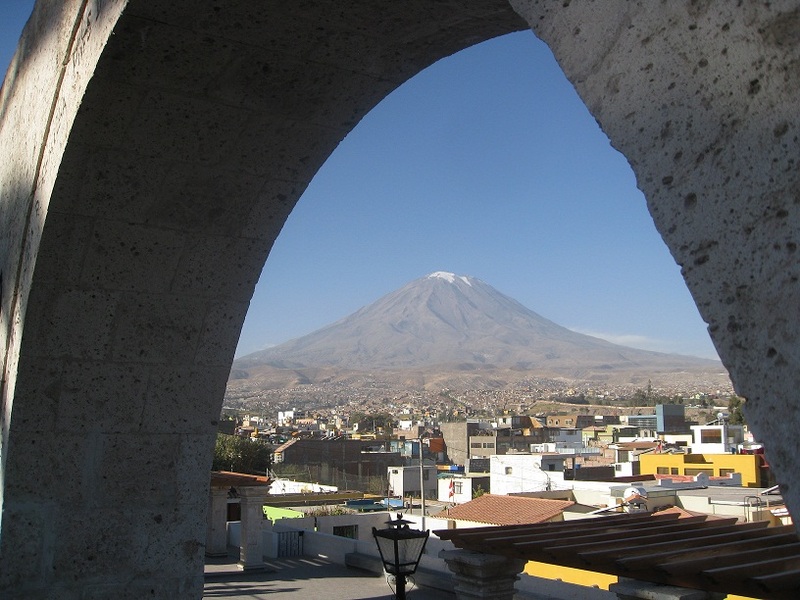 Arequipa promises spectacular volcanoes, one of the deepest canyons in the world and Peru’s second largest city. 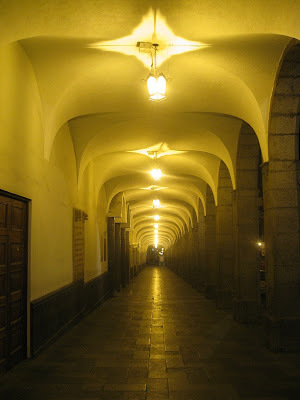 The city is filled with beautiful colonial buildings built with volcanic rock. I’d half-expected the Peruvian equivalent of Dubrovnik, but a hundred years or so on from their construction, the glow from the rocks has dulled somewhat leaving the buildings looking a pasty grey rather than possessing a dazzling glow. 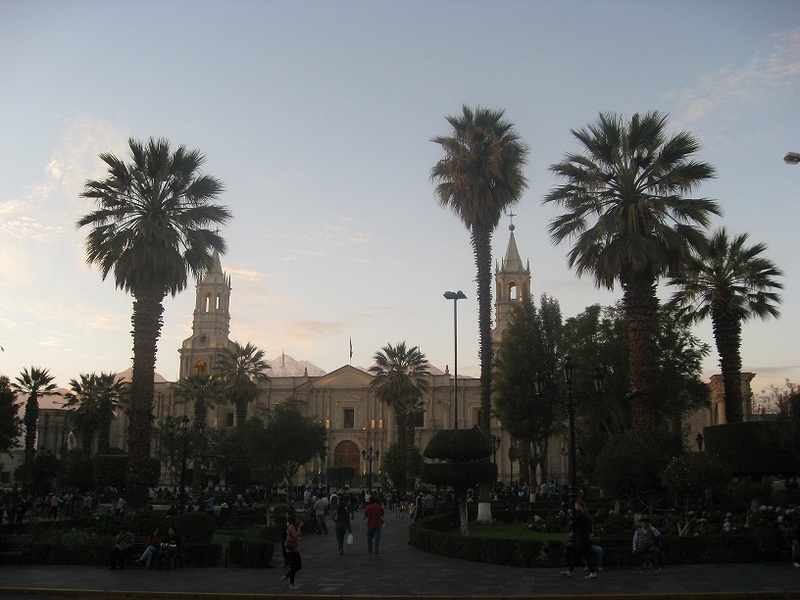 The city’s Plaza De Armas though is spectacular with its beautiful cathedral in the foreground and all 5,822m of El Misti to the background. It’s a classically shaped volcano and there are a harem - it’s the most appropriate collective noun - of tourist agencies around the city determined to sell you the opportunity to scale its peak. Most of the agencies have no idea what’s involved in climbing a volcano - few ask if I’m sufficiently acclimatised and one lady tells me that 2 litres of water will be more than enough for the two days it takes to climb to the top. In the end I decide to go with Vikinka Travel but they cancel on me the night before we’re due to climb. It proves impossible to find an agency with sufficient numbers to climb Misti, instead everyone wants to climb the nearby Chachani (6,075m) where you get dropped off at over 5,000m, climb to the top and come back having bagged an easy peak. And so I abandon the plan to climb the volcano and head out to Colca Canyon instead - at 3,191m, one of the world’s deepest. 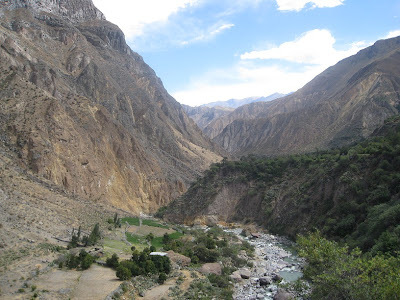 There simply isn’t time enough to do an independent trek there and so I put my deeply held reservations to one side and join a trekking group for a 2 day/1 night tour to the canyon. The drive there is spectacular apparently but not that you’d notice as we drive by night to begin trekking in the early morning sun. We stop at a place called Cruz Del Condor where we join the throng to watch condors fly, unsurprisingly enough, around a cross at the top of the canyon. It’s a beautiful sight which is completely negated by the fact that you have to push or be pushed in order to find a prime spot from where to take photos. The canyon itself though is magnificent and our group of 8 begin a two hour descent to the bottom just as the day begins to warm up. As spectacular as it all is, I snap photos more out of habit than awe. We overnight in a hideous ‘village’ - constructed solely for tourists - at the bottom of the valley, the name of which translates as ‘Paradise Lost’. The following morning at 5.15am en punto and still under the cover of darkness, we begin the 1,100m climb back to the rim of the valley. It’s bloody hard work but it’s the best part of the entire trek. The road home passes though the altiplano where we spot llamas, alpacas and vicuñas aplenty and we drive over a 4,800m pass from where I can see perfect views of the volcano I didn’t get to climb.